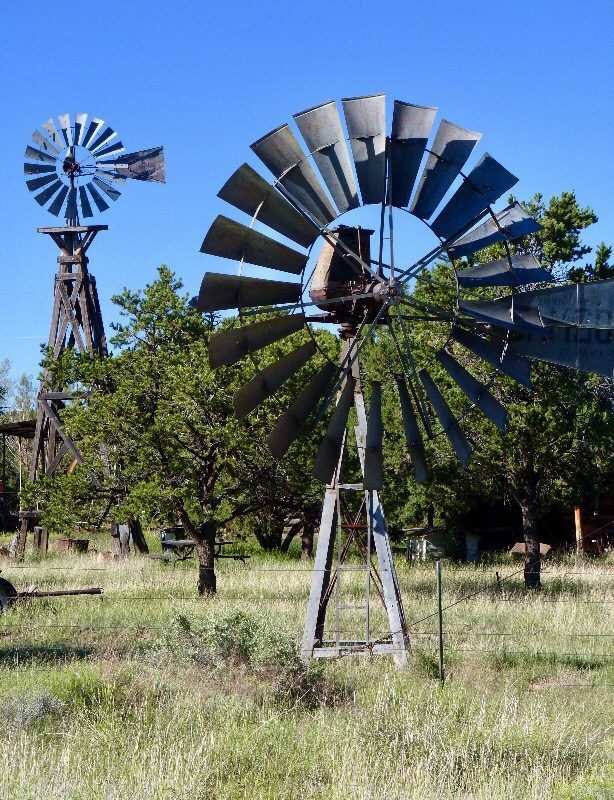 Along the main highway and on the east side of town, you will see a yard full of old windmills. 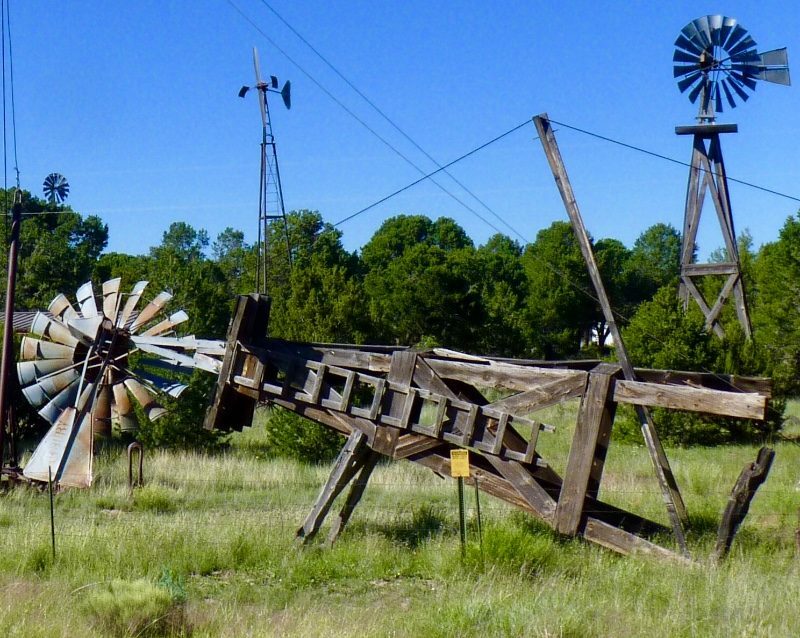 Some folks collect dolls or old cars; this guy amasses decommissioned wind mills. And, a fine collection it is. I can’t tell the models or the uses for certain ones. Generally, they were used to pump water up from a well. Often, providing a watering tank or pond for livestock. 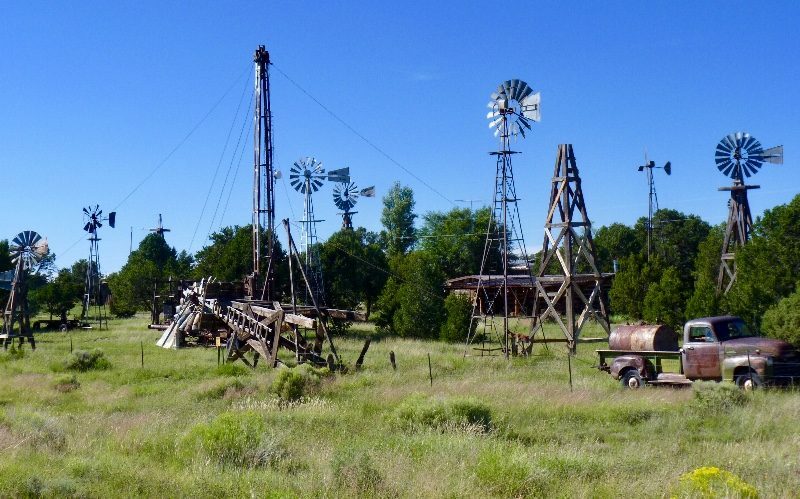 Considering the long dry spells in the southwest, they were essential on a ranch. 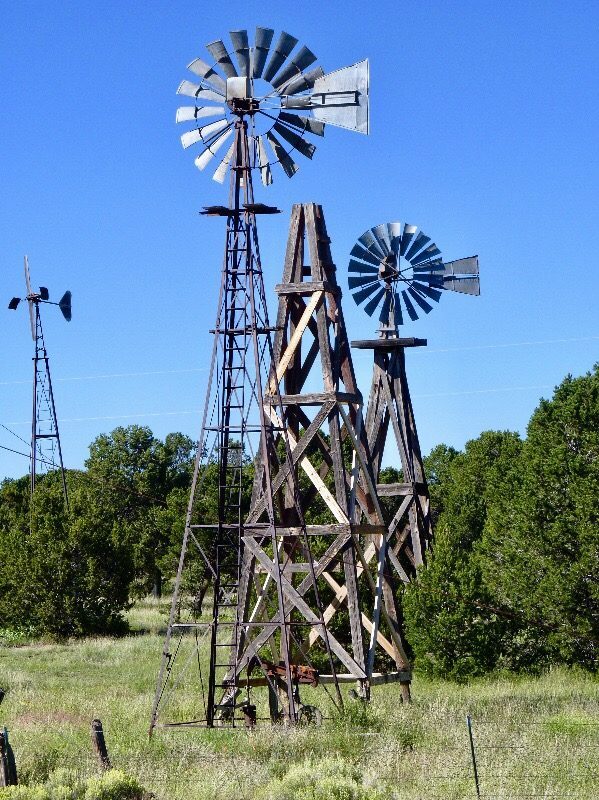 Sometimes, this old style of windmill can be seen still providing service on ranches. I’m glad he is preserving some fine specimens. Of course, before leaving town, one must sample the delicious pie for which the town is named. Yummy!